This is going to be wordy, but trust us you MUST know this if you are a food entrepreneur participating in flea markets and bazaars. Under Section 35 of the Environmental Public Health Act, Chapter 95, no person shall promote, organise or stage any temporary fair, stage show or other such function or activity without first obtaining a permit from the Director-General of Public Health. NEA is the final government organisation to give their approval before Organisers can be allowed to stage any temporary fair, stage show or other function or activity. All Organisers whether private or government entities must apply for this permit 2 weeks ahead, which means, the respective documents from points 1 to 7 must be provided and applied for, at least 1 month or so ahead before applying for the NEA permit. This refers to foodstuff that is packed and sealed in NEA approved premises. Approved premises would be food factories, central kitchens, hawker stalls, bakeries, coffee shop stalls, restaurant kitchens and central kitchens. Home bakeries are not NEA licensed premises so therefore, disallowed. All foodstuff from such approved NEA sources must also be properly labelled, including the date / time of expiry. For food that is packed by caterers or restaurants, the shelf life of the food is 4 hours and this too has to be labelled. Foodstuff such as crackers, biscuits from Khong Guan, Oreo cookies are factory pre-packed and have proper labels. If the pre-packed foodstuff to sell are imported, please ensure that these are imported by proper channels, including clearance from AVA. If you are buying from a supplier, please ensure that these are credible suppliers to protect yourselves. This refers to food that is freshly prepared on-the-spot, such as Ramly Burgers you see at Pasar Malams, grilled sandwiches and coconut shakes, kebabs, satay, roti prata wraps etcetera. A PUB water point connected to a sink and sewerage point is a must for each stall. (Imagine the of the costs involved to set these up), because there is on-site food preparation and handling. Food prepared on the spot must also have proper display casings, such as display chillers, food warmers, glass or transparent acrylic display shelves with doors. Food handling is a technical issue - it means when the server has to serve the food, e.g. taking a bun from a steamer and putting it into the plastic is handling, scooping rice into a box is also handling, dispensing beverages from a bar gun, mixing cocktail drinks.are also handling. Using tongs, spoons, chopsticks, forks or spatulas to pack the food on site is also considered handling. Licensed food handlers are required to be at the stall to perform the food handling functions. To be licensed you need to attend a course on food handling and hygiene. Click on the link below about food handlers. The Home Based Small Scale Business Scheme by HDB and URA allows residents to carry out activities in their HDB and private residential premises to supplement their income. Under this scheme, residents can prepare small quantities of food for sale to their friends and relatives without turning their residences into a commercial outlet. A licence is not required from NEA. Nonetheless, residents preparing food under the scheme can refer to these guidelines on good hygiene tips to adopt. What this means: You can't sell to the public, so you can't participate in flea markets to sell.... BUT you can participate in flea markets to provide sampling of your products and introduce your own brand... as well as to make friends! Get them to become your Facebook, Instagram, Wechat, Snapchat friends! And then you can sell to them thereafter. As long as you understand what the above 2 points mean, you'll be able to participate in our flea markets and bazaars without breaking any laws or government regulation. Now that you know what happens behinds the scenes for Organisers to ensure you are able to legitimately conduct your business without the risk of legal repercussions, we leave it to your own judgement on what Organisers tell when you ask them about participating in their markets, as well as make your own business decision on participation. 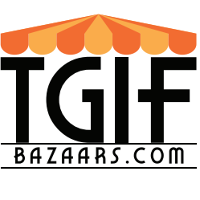 TGIF Bazaars requires interested and qualified participants to provide the necessary relevant supporting documentation before participation. Sometimes, due to curation and managing conflicts of interest, the answer may not be what you had wished for. If you have further questions, please feel free to check with us, OR check with NEA directly.